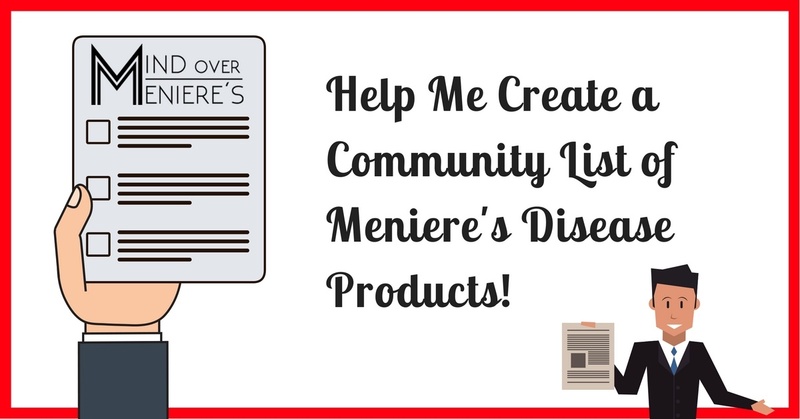 Help Me Create a Community List of Meniere's Disease Products! As many of you know, I recently published a detailed breakdown of the products, tools, and supplements that I use on a regular basis to help me better manage my Meniere’s disease symptoms and improve my overall quality of life. It was a big hit! I know that many of you found it very helpful, and I received countless emails and comments from everyone telling me about other helpful products and supplements that they used regularly basis and found helpful. So that gave me a great idea! You see Mind Over Meniere’s is just me, and even though I experiment a lot, I obviously will never be able to try everything, or even think of everything to try. That’s where you all come in! My idea is to create a massive community generated, crowd-sourced list of Meniere’s disease related tools, products, and supplements for us all to have as a resource. So I ask you: What tools, products, and supplements do you use on a regular basis to better manage your symptoms and improve your quality of life with Meniere’s disease? Simply leave a comment below with your answer! The list can be as long or as short as you’d like! If you can include links in your list, that’s even better! Once everyone has a chance to respond, I will take everyone’s answers and create an organized, categorized reference list, with pictures, descriptions, and links to more information! I hope you’ll all join me on this project and tell me about your favorite Meniere’s disease related products in the comments below! ← Help Me Raise Awareness for Balance Awareness Week 2017! NoiseBuster electronic noise canceling headphones. These cancel out noise like lawnmowers, saws and so on but still allow conversation. I experience the Tullio Effect–one consequence of which is that noise will shut my ears down. I use these every day. At $150 they are far better than anything else I’ve tried. For low sodium I use Heniz No Salt Ketchup–only 5 mg per serving and it tastes pretty darn good. Also low sodium, Patrick Cudahy makes a lower sodium pre-cooked bacon that is 115 mg for 3 slices. The slices are a bit smaller but at least one can satisfy a bacon graving with no guilt. And it heats up in seconds in the microwave! Incidentally, I’ve had Meniere’s for 10 years and gradually lost my hearing until I have been essentially deaf for the last 9 months. I had a Cochlear Implant in August and it was turned on 6 days ago. I can hear again, although it is in the early stages and will improve over time with lots of practice. My doctor said that Meniere’s people usually do quite well with implants and he was correct. I have found that Betahistine relieved me of the debilitating dizzy spells. I’m taking pills of betahistine too for one month and a half, but I’m feeling my ears clogged most of the time. Is it also happened to you? In how much time the betahistine made effects with you? I am taking Betahistine 3 monthes already, but still have permanent noise in ear/head. ? I have been taking Betahistine since September which has helped with the vertigo. But what helped me most with the permanent noise in the ear/head (tinnitus) was CBD oil. On the CBD oil, what strength and how much do you take that has helped the tinnitus? Hey Cathy, for the CBD oil I take a 0.6mL serving of Charlotte’s web – Everyday Advanced Hemp Oil twice daily. There is Approx. 50 mg hemp extract per 0.6mL serving. My wife drinks 16oz of fresh carrot and apple juice a day, read ” the Gerson Therapy”. It was suggested by her chiropractor. Also just bought the “Relief Band”, and that seems to really help with motion sickness. I suppose my absolute go-to without realizing it is my sound machine. 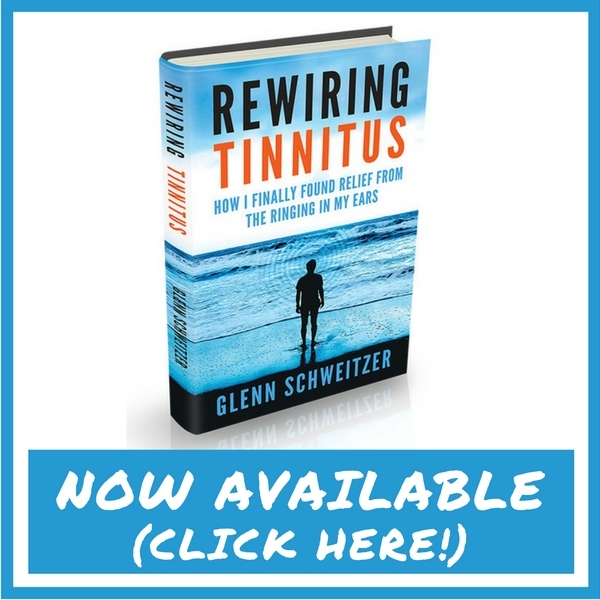 I have tinnitus, as most of us do. It used to drive me to tears, all the while making it worse with my stress level. So, I bought it and an extra cartridge of sounds. White noise is my tinnitus 24/7. I get “gifts” of ringing and other things occasionally. When it happens I switch sounds. Normally, it stays on white noise. I read about biofeedback. I thought maybe hearing it all night would help me not notice so much when I am awake. It helps tremendously. I know because i turned I told off for a week to see if it really helped. It does. Then I have a pair of musicians ear plugs that help both with crowds, loud sounds, wind. I can go on. And I have on my own blog and also with Ryan, the founder of this particular company. Sunglasses, baseball caps, cotton balls, my cane, an awesome support system in my family all have helped me with coping, working around and plowing through this disease. Valium helps too. For vertigo that is. Zofran for nausea and vomiting. Watching my sodium, though it didn’t really change things for me. CBD has been an amazing benefit and contrary to what many think, it has not enough thc to be hallucinagenic. Which makes it legal in all states. Check your whole healthy foods stores. I put a few drops of an Essential Oil called Divertigo behind my ears when I start feeling dizzy. It really calms me down and helps. Also my doctor put me on an anti anxiety drug (celexa) which really helped me so that I’m not constantly worrying about the dizziness. Anxiety makes the whole thing much worse. It has helped beyond belief. Less salt, eyes shades a must and plenty of sleep have also been helpful. Sleephones! (or Cozyphones for those of us on a budget) My husband can’t sleep with the sound machine on, I can’t sleep without it… great compromise is this type of headphones. Very comfy and an added bonus can be worn like a sleep mask (also helpful for when at the ER with migraine.) I couple my cozyphones with either the Calm App (I use the 8 hr free meditation setting) or Sleep With Me Podcast (I never make it through an episode- usually fall asleep in the intro- the dude is amazing and hilarious!) Also, the band easily comes off the headphones and is washable – That was very important to me. Serrapeptase is the only thing I take for Meniere’s. It’s an anti inflammatory and anti edematous enzyme and it’s a very good natural alternative for steroids (prednisone, dexamathasone). I take one pill once a day. It helps me tremendously because Serc and diuretic didn’t work for me ( only steroides) and also helps with allegies. I’d like to know more about your tip. I also have allergies and feel my ears clogged most of the time. I’m taking pills of betahistine but still feel my ears clogged. This Serrapeptase helped you with these symptoms? Hey Haroldo, I also had my ears clogged (aural fullness) for months before I started a strict low sodium diet, quit using caffeine and started taking some vitamin supplements that this website talks about. Unfortunately there is no “magic” pill that I have read about. I have also read that people that suffer this symptom(s) have to research & try a variety of things to put together a custom regimen that their body responds to. It will take time but hang in there. I don’t go anywhere without my Sea Bands! They help with the nausea! 1 capsule, 2X a day, in morning, and evening. Adjustable Black Diamond walking poles with rubber tips. Bose sound canceling headphones. Soft neck pillow. Heavy wool quilt. Sun glasses with anti reflective coating on inside of lenses. Light weight cap (Marmot). I have been using Betahistine & Lipo-Flavonoid and have not had an acute attack in nearly two weeks now. Before my prescription, I would suffer violent rotary vertigo attacks every 2-3 days but would suppress the symptoms early when I began to feel dizzy (like walking on marshmallows) with Bonine (over the counter) for motion sickness and Claritin-D 24 hour (over the counter) an antihistamine that was effective for stopping the nausea & vomiting. But I have since moved on to using Lipo-flavonoid (over the counter) that has been effective for reducing the Tinnitus and has a money back guarantee. It can take 3 weeks or so before you feel results so the company asks that you use the product for 60 days before applying for a refund. Betahistine (prescription 16mg) has been my miracle drug for reducing the inner ear fluid (hydrops) causing the aural fullness (ear fullness) and vertigo. Walgreen’s carries it by special order and it requires a compounding technician to put it into 16mg capsules. You have to be VERY specific in how you ask for Betahistine so I have posted a link with the instructions on how to obtain it after your Doctor prescribes it. It comes as a bulk powder so you have to ask you Doctor to include instructions on placing the powder into capsules. The dosage strength can range from 24mg, 16mh or 8mg depending on the severity of your symptoms. arcticblueice: How wonderful of you to include details and links in your contribution! So glad that you’re managing well and even though your closing has a typo, I love Goof luck more! Pine Bark, Vinpocetine,Vitamin D, E, B Complex,Lemon Bioflavonoids, CoQ10, L Lysine,Magnesium along with a low dose water pill. Low dose zoloft at night. No salt added Ketchup (Heinz), No salt added tomato sauce, shoprite Mrs Dash No Salt Chili and Taco mix. with shady brook ground turkey. Coleman Organic chicken,Kashi no salt cereal Organic Berry Fruitful and Rice Puffs any brand without salt. Fairlife skim milk ,Natures Bakery Stone Ground Whole Wheat Fig bars 35mg sodium. Skinny Pop snack size pop corn 50 mg a bag. No salt peanuts and all unsalted raw nuts. Cant live without these. I Could go on forever. Hey Mary, thanks for posting the info for the supplements and Mrs Dash salt free seasoning. Do you have a favorite website for no/low salt foods? I feel much better with a low sodium diet, removing the caffeine and taking Pine Bark, vinpocetine,Vitamin D, E, B Complex,Lemon Bioflavonoids, chelated Magnesium and 50mg of CBD oil twice daily. Thanks a lot for the information, it was very helpful. I have had a Gemamycin injection into my left ear 5 weeks ago. I am still dizzy. It seems to subside very slightly each day. At the onset of vertigo accompanied by nausea I take one Ondansetron. It helps very much making both the vertigo and nausea subside. I also have had Rheumatoid Arthritis for about 10 yrs. I have had Meniere’s Disease for about five years. I switched Meniere’s doctor when I realized that my doctor wasn’t helping. I would throw up for up to two days with no relief and the diuretic I was in caused a dangerously low sodium content in my body. With my new doctor I no longer take a diuretic but take an anti-bacterial 3x a day plus my RA meds. My Meniere’s was diagnosed following an embarrassing incident when I threw up in the doctor’s office 5 yrs ago and was put in their waiting room where I kept throwing up in front of the people in the waiting room. Horrible experience!!!! All medical people are not professional!!!! Just wondering how you discovered this particular regimen and if you know which one might be the main reason for your improved hearing? I have the vertigo under control, but have very little hearing in my right ear with low range tinnitus constantly. The lipoflavainoid helps keep the tinnitus down to where it’s not grating my nerves or keeping me awake, but the hearing loss is very upsetting. I’ve been going through old e-mails & just found Glenn’s request. I discovered USANA supplements in March and I think they have really helped me too! I take all the ones that Arthur takes except for the first one, Biomega. My distributor (whose husband has Menieres) said the Proflavanol is critical & I should take extra when feeling more symptoms (for me it was imbalance recently, not full-blown vertigo). I’m sure that adding Ginkgo has helped my brain too. I had been taking good quality supplements, but ginkgo was not in them. The Proflavanol includes C, potassium, calcium, magnesium, zinc & grape seed extract. Stay away from package frozen raw shrimp, they are loaded with tons of sodium even before they are cooked. One thing that really helped me was to have a dimmer switch installed for my bathroom light. Who wants to be in a bright shiny tiled room with an overhead light when you’re spinning and throwing up? Not me for sure, and this mini reno has made it much easier for me to cope with nausea and vomiting. Also – I always have ginger ale on hand – it seems to settle my stomach. I take Serc (betahistine) and Domperidone and these prescription meds have kept my attacks to a minimum. Initially I was having attacks almost daily. I have had Meniere’s for 9 years. When I am having vertigo symptoms my doctor gives me an injection of steroids into my ear and the symptoms disappear within hours. The first time I tried this it took 3 injections, a week apart, to get it to work but after that one injection would work and I wouldn’t get a recurrence of vertigo for 2-3 years. I use lemon bioflavonoids, a diuretic, Flonase, and Zyrtec on a daily basis. As for low sodium foods, besides the ones already mentioned I use Pomi diced and strained tomatoes, most canned whole tomatoes from Italy have no salt added but read the label to be sure. Eden brand beans have no salt added and there is a large variety of beans available. I use Adam’s no salt peanut butter, Pacific brand low sodium chicken broth at 70 mg a cup, and many of the spice blends from Penzy’s that you can get by mail. They makes lots of salt free spices and spice blends like different curries and chilies so I don’t have to miss out on Indian and Mexican foods. I can make my own. There is a website called Healthy Heart where you can get many salt free products such as baking soda and baking powder, and a delicious Thai peanut sauce with 2 mg of sodium per tbs and it is delicious! I use it to make stir fries. There are lots of other products to look at on this website. I have lost my hearing in one ear and I use Cros hearing aids by Phonac (I think that’s the brand). They have a microphone in the deaf ear that picks up sounds on the left side of my body and then sends the sounds to my right ear. I still have to do a 360 to find out who is calling my name as it doesn’t let me know what direction the sounds are coming from but I found that it gives my body a better sense of balance and I can hear people on my bad side when they are next to me. I have also helped start a support group in my area. We meet once a month and each month we get new people in who have recently been diagnosed. We try help them find ways to work around their symptoms and live with Meniere’s. We all find symptoms we have in common and others that are unique to each of us. We find than some remedies work for one and then not the other. Meniere’s is frustrating in that doctors are unable to find a cure or in some cases even diagnose Meniere’s and find ways to alleviate the symptoms for all. A good doctor that you can trust and who understands how frustrating it is to live with Meniere’s is very important. If you don’t feel that your doctor understands you go find another one! I was diagnosed with Meinere’s about 5 years ago. Before I knew what it was, I suffered violent vertigo attacks that would last for a couple of days at a time. I followed all the DRs orders (most of which I see listed on your posts) with no results, or results that only lasted a short time and left me unable to function daily. Then I started on Lipoflavanoid as directed and I was symptom free, including ear fullness and tinnitus for 2 years.!! Because none of my Drs thought the Lipo had anything to do with it, I decided to stop taking the Lipo to see if it was really what helped,(very bad decision) I stayed symptom free for about 2 months, then all symptoms came back with a vengeance. I went back on Lipo, and it did help the tinnitus, but I still had occasional vertigo and ear fullness. I recently followed a suggestion to have Atlas Specific treatments, and it worked immediately on the vertigo symptoms! (see link below) Before the treatments and even while taking the Lipo, I had to be careful when turning my head or leaning my head back to look up. It would set off slight vertigo symptoms. After the Atlas treatments, I can move normally, bend over and even lean backwards to look up at the sky…etc, without feeling dizzy. It’s been wonderful! I am now seeing a ENT that specializes in Meinere’s, balance and inner ear issues, hoping he will help me with the hearing loss, fullness and tinnitus. Hope it can help others. Hi Laura, I was wondering if what you are doing, especially the daily bioflavonoids, diuretic, Flonase, and Zyrtec have helped decrease the full feeling and tinnitus? I have the vertigo symptoms under control, but have had constant fullness and horribly loud tinnitus since April of this year. It used to be sparatic but now never goes away. So just wondering if the combination of those medicines and supplements has eliminated or decreased those symptoms for you? Thanks Jeff! Thank you for replying. I’m already taking B12 and 2500mg D3, so I will up that to see if it helps. But what’s a trusted brand for the Chelated Magnesium? My new ENT just put a tube in the ear, which has done absolutely nothing. And he is now offering a procedure called “Aera Eustachian Balloon Dilation”, basically angioplasty for the eustachian tube. But I’d rather get this tube to open naturally if at all possible. I have lost about 20% of the hearing in the right ear, and I think I could deal with the hearing lose if I could get the tinnitus and fullness to clear up. Doctors Best is the Chelated Magnesium I use. Cheated magnesium ensures almost complete absorption of the Vitamin D. Too bad your surgery did not work..I looked at surgery options in the past but felt the risks and results were not worth it. I used supplements from John of Ohio’s protocol which included; vertigoheel which helped immeasurably, and vinpocetine and lemon bioflavonoids. The latter two helped my ear symptoms but I got such bad brain fog from them that I couldn’t function at all. The worst brain fog I’ve ever had!!! The biggest thing that helped, and don’t roll your eyes, was stopping the use of tissue to blow my nose. I don’t know why, but it eliminated 90% of my symptoms/intensity. And now I only have brain fog, tinnitus, and dizziness; all intermittently and at levels that I can function. I still have tons of triggers, but their effects are minimal compared to the intensity of symptoms I had before, and can be managed by avoiding the foods and activities that cause them. I also use an ear plug regularly, for loud sounds and at the onset of dizziness..calms this down a lot too! By the way has anyone ever had symptoms from weightlifting and/or understand the mechanism behind this? That is my exercise of choice and I’m saddened to lose it!! Thanks and my very best to everyone. Hello, I have read your book which I found incredibly helpful when I first began searching for answers 5 years ago. Today, i am no better with my Menieres symptoms but my attitude and perception have changed. After recently having spent one week in the hospital due to an out of control Menieres crisis, I made a Facebook page which has helped me see this differently and maybe it can help others too. I sell nothing nor intend to, just positive stories and some humour too. 1. Trying my darnest to live outside of areas with dense cell towers/nodes, which is becoming virtually impossible and tiresome. The infrasound is agonizing. 3. Eating more foods from the Brassica family, more often like cabbage, collards, brussel sprouts etc. This has probably made the greatest difference for me recently. I do not know the science behind it.